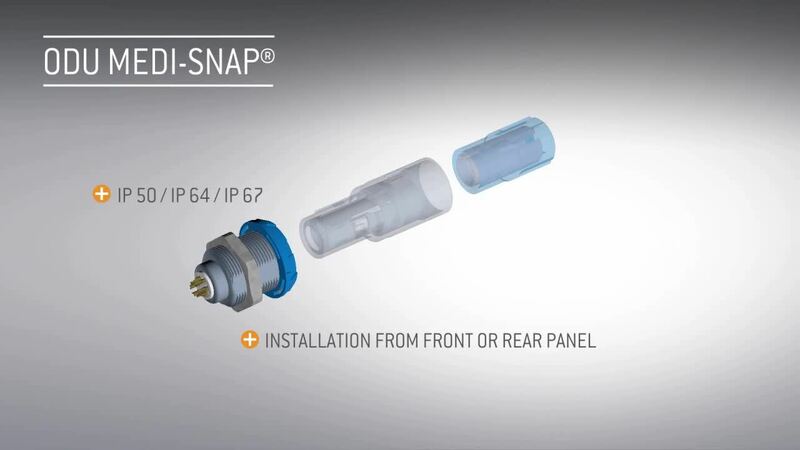 This presentation will provide an overview of the ODU MEDI-SNAP®, an advanced plastic circular connector with Push-Pull locking and Break-Away function. The tutorial will overview the main product features and benefits, potential contact configurations, the mechanical keyways and color coding options and available accessories. In addition, it will highlight some of the potential markets and applications together with all the certifications available for this connector solution. Conectores de la serie MEDI-SNAP® El MEDI-SNAP® de ODU es una solución avanzada de conectores con opciones de carcasa de plástico o metal y conexiones de contrafase o break-away.